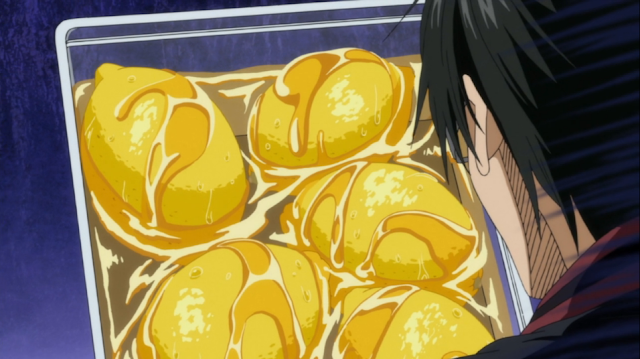 Kuroko's Basketball is a show for girls that are fans of sweaty men taking their shirts off (and what girl isn't?). During a match between title character's team and the team managed by his former crush, both the female managers (the only two women in the show) serve up honey soaked lemons during half time. But of course they forgot to slice the lemons first.